Editor: Kim Fout, Verbena C.W. “Today is the day I’m finally going to get you to tell me what is up with you never going on land,” the Captain declared, arching an eyebrow. “It’s been five years and the Bluewater has docked in heaven knows how many ports in more countries than I can count, yet you have never gone ashore; not even when we docked back in China. And not even last year, back in Qingdao when we were in for overhauls. You’re the last person I’d need to tell that the ship was a complete mess, and noisy, and still you stayed put, holed up in your cabin for two months,” the Captain continued, eying Feng Fan intensely he spoke. “Do I remind you of that guy Tim Roth played in ‘The Legend of 1900’?” Fan asked in return. “Are you insinuating that if we ever scuttle the Bluewater, you plan on going down with the ship like he did?” the Captain countered, himself not sure if Fan was joking or not. “I’ll change ships. Oceanographic vessels always have a place for a geological engineer who’ll never leave ship,” Fan replied. “And what’s that?” the Captain asked, curious and now a bit impatient. “Mountains,” Fan uttered, his gaze dissolving into a thousand-mile stare. They were standing portside on the geological oceanographic research vessel the Bluewater, looking out onto the equatorial waters of the Pacific. The Bluewater had crossed the equator for the first time a mere year ago. Back then, they had given into the whimsy of marking the occasion with the ancient rite of the line-crossing ceremony. Their discovery of a manganese nodule deposit in the seabed, however, had left them crisscrossing the equator more times than any of them could possibly remember. Now, they had all but forgotten about the existence of that invisible divider. As the Sun slowly set beyond the sea’s western horizon, Fan noticed that the ocean was unusually calm. In fact, he had never seen it so quiet. It reminded him of the Himalayan lakes, perfectly still to the point of blackness, like the eyes of the Earth. One time, he and two of his team had sneaked a peek at a Tibetan girl bathing in one of those lakes. A group of shepherds had spotted them and given chase, blades drawn. When they had failed to catch them, the shepherds had resorted to slinging stones at them. The disconcertingly accurate bombardment had left Fan and his cohorts no other option than to surrender. The shepherds had sized them up and finally let them go. “You like the mountains? So that’s where you grew up then?” The Captain ended Fan’s reminiscing. “No, not at all,” Feng Fan explained. “People who live their entire life surrounded by mountains usually care nothing for them. They end up seeing the mountains as the thing that stands between them and the world. I knew a Sherpa who had scaled Everest forty-one times, but every time his team would get close to the peak, he’d stop and watch the others climb the final stretch. He just couldn’t be bothered to make it to the top. And make no mistake about it; he could have easily pulled off both the northern and southern ascent in ten hours. “I wasn’t. You and I feel very differently about these things. For me, all I saw was the mountain and all I wanted was to climb it. I really wasn’t looking for anything on the mountain. When I climbed those mountains for the first time and I saw the plain stretch out below me, I felt like I had been reborn.” As Feng Fan finished, he realized that the Captain was paying no heed to his words; instead, he was looking to the sky, staring at the scattered stars. But there was a star. It was very dim, barely visible. “Yes, I used to be called Feng Huabei,” the now-marine geologist admitted. “Some years ago you caused quite the stir. Was what the media said about you true then?” the Captain asked. “The gist of it. In any case, those four climbers certainly are dead because of me,” Fan said glumly. “That star is getting brighter,” the Captain said, looking up again. “Of course it is; the sky is getting darker,” Fan retorted dismissively. “So four died instead of all five,” the Captain noted dryly. “Do I have to spell it out? You must remember the overwhelming condemnations and the crushing contempt the media heaped on me back then,” Fan reminded. “They said that I acted irresponsibly, that I was a selfish coward, that I sacrificed my four companions for my own life.” He was clearly still pained. “I thought that I could at least clear myself of that last accusation, so I donned my climbing gear and put on my mountain goggles. Ready for a climb, I went to my university’s library and scaled a pipe straight up to its roof. I was just about to jump when I heard the voice of one of my teachers; I hadn’t noticed him come up to the roof behind me. He asked me if I was really willing to let myself off the hook that easily and if I was just trying to avoid the much harsher punishment awaiting me. When I asked what he meant he told me that of course it would have to be a life as far away as possible from mountains. To never again see a mountain—would that not be a harsher punishment? The Captain stared blankly for a long moment, at a loss for words. Finally, he came to the conclusion that it would probably be best to just leave it be. Conveniently, something in the sky above abruptly forced a change of topic. “Take another look at that star,” he said, an edge in his voice. The star was no longer a dot, but had become a small but rapidly expanding disk. In the blink of an eye it had turned into a striking sphere in the sky, glowing with blue light. A flurry of rapidly approaching footsteps drew their gaze back down to deck. It was the First Mate, running straight towards them. The three of them looked up only to see that that small sphere had continued its rapid expansion. It had already ballooned to the size of the Moon. “All stations have ceased their regular broadcasts and are now reporting on it!” the First Mate rattled on. “The object had been spotted earlier, but they have just now confirmed its true nature. It is not responding to any of our attempts to hail it, but its trajectory shows that it is being propelled by some immense force, and it is hurtling straight toward Earth! They say it is as big as the Moon!” He held an ear-piece to his head, listening intently. “A geostationary satellite? Are you saying it is just going to hang above us?” the Captain shouted. “It is! Over the equator, right above us!” the First Mate confirmed. Feng Fan stared at this huge sphere in the sky; it seemed almost transparent, suffused with an unfathomable blue light. Looking at it left Fan with the strange impression of staring right up at an orb of seawater. There was the feeling of profound mystery, an intense anticipation that would grip him every time the sampling probe was raised from the seabed. Looking up now, he experienced a very similar sensation. It was as if some long-forgotten remnant of time immemorial had returned to the surface. “Look, the ocean!” the Captain shouted, wildly thrusting his pipe aft-ward. “What is happening to the ocean?” He was the first to break free from the hypnotic power the giant sphere seemed to exert over all of them. Where he pointed, the ocean’s horizon had begun to bend, curving upward like a sine wave. This huge swell of rising water rapidly grew taller and taller. It was as if a titanic yet invisible hand was reaching down from space to scoop up the ocean. “It’s the spaceship’s mass! Its gravity is pulling at the ocean!” Feng Fan exclaimed, rather surprised that he still had enough of his wits about him to understand what was happening. The ship’s mass was probably equivalent to that of the Moon, but it was 10 times closer! It was fortunate that it had only entered a geosynchronous orbit. The water it was pulling would be held in one spot. If the spaceship moved, it would send a gravitational tidal wave across the world so large that it could easily ravage continents and destroy cities. “Give me its height!” the Captain shouted, jerking him back to the here and now. Before them was the most terrifying, most awesome, and most magnificent sight humanity had ever faced. All on deck stood transfixed by its spell. “It must be destiny…” Feng Fan mumbled, mesmerized more than most by its grandeur. “What did you say?” the Captain loudly demanded, his eyes still fixed on the rising waters. “I said that this must be destiny,” Fan repeated. It was—it had—to be destiny. He had gone to sea to avoid mountains, to put as much distance between them and him as humanly possible; and now he was in the shadow of a mountain that eclipsed even Everest by almost a thousand feet. It was the world’s tallest mountain. “Port five! Full ahead! We need to get out here now!” the Captain commanded the First Mate. “Out of here? Is it dangerous?” Feng Fan asked, confused. “The alien spaceship has already created a huge area of low pressure. Right now a gigantic cyclone is taking form. I tell you, this could be the greatest tempest the world has ever seen. If it catches the Bluewater, we will be ripped straight out of the water and tossed about like a leaf in a storm. I just pray we will be able to outrun it,” the Captain explained, sweat clearly visible on his brow. “Leak? Leak to where?” the Captain asked, his eyes wide. “How long do we have?” the Captain asked, confronted with horror after horror. “A week? That doesn’t leave us enough time to make it home,” the Captain said steadily. It seemed that his composure had returned. With a quick flick of his fingers, he re-lit his pipe. “Right, there’s no time to make it home…” the First Mate echoed, his voice now devoid of all emotion. “If that is what it’s going to be, we might as well get on with it and make the best of the time we have left,” Feng Fan noted, a sudden edge of enthusiasm in his voice. His entire body was readying to the occasion, flush with the energy of excitement. “And what is it that you want to do?” the Captain asked. “Climb a mountain,” Fan answered with a smile. “Climb a mountain? Climb…?” The First Mate’s face suddenly twisted from puzzlement to outright shock. “That mountain?” He gasped, pointing at the mountain of water looming above them. “Yes; now it is the world’s tallest peak. Where there’s a mountain, there will be someone to climb it,” Fan replied calmly. “And how do you plan to climb it?” the First Mate asked. “Isn’t it obvious? Mountain climbing is something one does with hands and feet; so I will swim,” Fan said with a smile. “I will give it a try.” Fan would not be dissuaded. “About a dozen miles,” someone answered. “Thank you!” Fan expressed his heartfelt gratitude. “It looks like today fortune smiles upon you,” the Captain said with a wry smile, giving Feng Fan a slap on the shoulder. “I believe so,” Fan replied. “Captain, there is one thing I haven’t yet told you: One of the four climbers on Everest was my girlfriend. A single thought flashed through my mind when I cut that rope: I don’t want to die; there is still another mountain to climb,” he said, pain and bright enthusiasm merging in his eyes. “Full speed ahead and away from that storm; we’ll take it a step at a time. One more day to live is one more day to live,” the Captain answered thoughtfully. Feng Fan stood in the lifeboat, his gaze following the Bluewater as it sailed into the distance. Soon, the ship he had once seen as his home for life was well and truly out of reach. Behind him, the mountain of water towered serenely under the blue glow of the alien sphere. Had he not seen it form, he could have easily been tricked into thinking that it had been there for millions of years. The ocean was very calm, its flat surface unruffled by waves. Feng Fan, however, could feel a breeze brush past his face; it was still weak, but it blew toward the looming waters. Raising the lifeboat’s sail, he began his journey to the mountain. Soon, the wind picked up and his vessel’s sail filled in its wake. The lifeboat’s prow now cut the ocean’s surface like a knife as it sped toward Fan’s goal. In the end, the 12-mile journey took no longer than 40 minutes. As soon as Feng Fan began to feel the hull of his boat climb the slope of water, he bailed. Off the side of his vessel he leapt into the shining blue waters that were aglow with the light of the alien vessel above. A few strokes later he had become the first person to climb a mountainside by swimming. From where he was now, he could no longer see the summit. Lifting his head out of the water, all before him was an unending expanse of sloping water. He could almost image a titan beyond the horizon, lifting the ocean like a vast, watery blanket. Feng Fan began to swim with a breaststroke, conserving as much energy as possible. The First Mate’s warning was still fresh in his mind. A quick calculation told him that it would be about eight miles to the summit. On level water, his endurance would easily have allowed him to cover the distance, but here he would have to deal with the slope. If he stopped moving up, he would be slipping down. That alone would make reaching the summit almost impossible. It did not matter; the very act of even attempting to climb this watery Everest was a greater realization than he had ever dared hoped for in all of his mountaineering dreams. As these emotions washed over him, Fan became aware of more physical sensations. He almost felt as if his body was gradually being pulled up along the slope. Swimming up seemed to demand no additional effort. Looking back, he could see the lifeboat that he had abandoned at the mountain’s foot. Before leaving the vessel he had lowered its sail, yet it remained floating on the slope, strangely stationary. Fan gave it a try. He ceased his strokes and began to carefully observe his surroundings. He was not sliding. Quite to the contrary, he was floating on the slope as if it did not exist at all! Fan slapped his forehead as he cursed his and the First Mate’s foolishness: If the ocean’s water on the slope did not flow downward, why would a person? Or a boat, for that matter? The gravitational pull down the incline was being neutralized by the giant sphere’s mass. The further up he climbed, the less he would feel of Earth’s gravity. It meant that the slope’s angle would not matter one bit. As far as gravity was concerned, there was neither a watery slope nor a mountain in the ocean. The forces acting on him would be no different from those on the level ocean. He now knew this mountain would be his. He continued to swim upward. As he climbed, he felt his strokes gradually become less and less exerting. In large part, this was due to his body growing lighter, making it easier and easier to come up for air. Around him, Fan could see another sign of the reduced gravity: The higher he got, the slower the ocean’s spray fell. This phenomenon was mirrored in the undulations and movements of the waves. They, too, grew ever slower the higher he swam. The harshness of the open sea had all but left them, leaving the waves softer and gentler than normal gravity would ever allow. It was by no means calm, however. The wind was picking up and bands of waves had begun to rise on the watery slope. Freed from much of Earth’s gravity, these billows rose to considerable heights. However, they did not roll up the slope as full-bodied waves, but as thin slices of water that twisted in on themselves as they gently collapsed. In a strange way they reminded Fan of exquisitely thin wood shavings sliced from the ocean by an invisible planer. The waves did nothing to hinder his progress. In fact, it was quite the opposite; sweeping toward the summit, they actually pushed him along as he continued his climbing swim. As the pull of gravity grew ever weaker, even stranger things happened: Instead of pushing him, Fan was now being gently thrown along by the waves. In the blink of an eye he felt himself leaving the water and flying over the ocean’s surface, only to be caught by another wave a moment later, and then it was up into the air again. The gentle yet powerful hands of the ocean carried him along, rapidly passing him upward and onward. He soon discovered that under these strange conditions the butterfly stroke was best suited to expediting his already rapid ascent. Around him the wind had picked up even more strength. Gravity’s grip on Feng Fan, on the other hand, was becoming weaker and weaker. The waves up here easily reached 30 feet in height before falling as if in slow motion. These huge billows were also gentler than they had ever been, softly rolling into one another; they did not even make a sound as they fell. The only remaining noise was the howling of a growing cyclone. Fan’s ever-lighter body was leaping from wave crest to crest. As he jumped again, he suddenly realized that he was spending more time in midair than he was in the water. Up here, he could hardly tell if he was swimming or floating. Numerous times the thin waves would come to completely envelope him, rolling him into a tunnel formed by the slowly tumbling waters. The gently roiling roof of these tunnels glowed in blue light. Through the thin, watery roof he could see the light’s source—the giant alien sphere hanging in the sky. The wave tunnel distorted the ship’s form; to Feng Fan it looked as if he was seeing it through teary eyes. He glanced at the waterproof watch he wore on his left wrist. He had been climbing for a mere hour and at this hope-defying speed it would only take that long again for him to reach the summit. It made Fan think of the Bluewater. Considering the current wind speeds, the tempest was only moments away from unleashing its fury. There was no way that the ship would be able to outrun the coming cyclone. In a flash it occurred to Fan that the Captain had made a fatal mistake: He should have turned the Bluewater straight toward the water mountain. As the gravity exerted no pull down the slope, the ship could have sailed up to the peak just as easily as it sailed the level ocean, and the peak would be the eye of the storm—safe and calm! No sooner had he realized this than he pulled the walkie-talkie from his lifejacket. He tried to reach her, but the Bluewater would not respond. By now, Feng Fan had mastered the skill of leaping from wave crest to crest. He had been climbing like this for about 20 minutes, making it two-thirds of the way to the top. From here, the perfectly round summit already seemed within reach. It glittered in the softly glowing light of the alien spaceship above. To Fan the Summit looked just like an alien world, waiting for him. At that moment the whistling of the wind suddenly turned to a sharp howl. This terrifying noise seemed to come from all directions and it was accompanied by a sudden increase in the wind’s strength. Fifty-foot waves—even 100-foot waves—thin as sheets, rose high; but they never fell, torn apart by the cyclone’s gale in midair. Looking up, Feng Fan could see that the slope above him was covered in the spray of broken wave crests, dancing a crazed, wind-whipped dance over the ocean’s surface. Illuminated by the glow of the alien sphere, the chaotic splashes shone with dazzling white light. Finally, Feng Fan made his last leap. A thin, hundred-foot wave carried him into the air. It was torn to slivers by the powerful wind the moment he left its crest and he found himself falling toward a band of waves slowly rolling in front of him. The waves looked like giant, transparent wings slowly unfurling as if to embrace him. Just as Fan’s outstretched hands reached the waves, they shattered into white mist, their glittering crystal film ripped apart by the violent winds. A strange noise that sounded disturbingly like laughter accompanied the bizarre spectacle. It was also the very moment that Feng Fan stopped falling; his body was now light enough to float. The manically twisting ocean below slowly began to grow more distant as he was thrown into the air like a feather in a hurricane. Almost weightless, Fan was turned and swirled in the twisting air. Dizzy, he felt as if the glowing alien sphere was spiraling around him. When he finally managed to begin steadying himself, he realized with a start that he was actually swirling through the air above the summit of the water mountain! From up here, the bands of giant waves rolling up the mountain looked to be no more than long lines. Spiraling toward the peak, they made the mountain look like a titanic watery whirlwind. Feng Fan felt his circles above the peak become smaller and smaller, all the while his speed accelerating. He was being carried directly into the heart of the cyclone. The moment Fan arrived at the exact eye of the storm, he felt the wind suddenly weaken. The invisible hand of air that had been holding him suddenly let go and he fell toward the water mountain, straight into the faint blue glow of the summit. He plummeted deep into the mountain before he felt himself floating upward again. He was surrounded by darkness and in mere moments the fear of drowning beset him. With mounting panic, Fan suddenly realized that he was in mortal peril: The last breath he had gulped before he fell had been at 30,000 feet! At that height he would have hardly breathed in any oxygen at all, and in the minimal gravity here, he would only rise very slowly. Even if he swam up with all his strength, he feared that the air in his lungs would not be enough to carry him back to the surface. Feng Fan was gripped by an eerie sense of deja vu. He felt himself returned to Everest, completely in the dark, enshrouded by the swirling snow of the storm, utterly overwhelmed by mortal fear. Within this darkest moment, Fan found a light in the black; several silvery spheres were floating upward next to him. The largest of these spheres was about three feet in diameter. Looking at them, he suddenly realized that they were made of air! The weak gravity had allowed giant bubbles of oxygen to form in the ocean. With all the strength he could muster, he thrust himself at the largest bubble. No sooner had his head pierced the silvery shell than he was immediately able to draw breath again. As he slowly recovered from the dizziness the lack of oxygen had induced, Fan found himself enveloped by the air bubble. Yet again he was in a space of air completely surrounded by water. Looking up, he could see the ripple of the surface shimmer through the top of his bubble. Floating upward, he noticed a sudden drop in the water pressure, causing his bubble to rapidly expand. As the bubble grew, Feng Fan could not shake the impression that he was caught in a crystal party balloon, floating into the sky. The blue shimmer of the waves above slowly grew brighter and brighter, until finally its glare was so strong that he was forced to avert his gaze. Just then the bubble burst with a soft pop. Fan had reached the surface; and he was going further, the weak gravity launching him a good three feet into the air. His drop back to the surface was not sudden, but a gentle descent. As he fell, Feng Fan noticed countless beautiful watery orbs gently dropping alongside him. These orbs greatly varied in size, the largest being roughly the size of a soccer ball. All shone and glittered with the blue light of the gigantic sphere above. As Fan looked more closely, he saw that they in fact contained layers upon layers, making them sparkle with crystal light. These orbs were splashes of water cast from the ocean as he had broken its surface. The low gravity had allowed their surface tension complete freedom to shape their form. Reaching out, Fan touched one of the orbs. The sphere shattered with a strange metallic ring that was wholly unlike any sound he had ever imagined water producing. Other than the orbs, the summit of the water mountain was altogether tranquil, the waves rushing in from all sides undoing each other into nothing but broken swell. This was, beyond all doubt, the eye of the storm, the only place of quiet in a world gone mad. The calm was offset by a titanic background howl—the screaming of the cyclone. Looking into distance, Feng Fan found himself, along with the entire mountain of water, to be in a massive “well”. The walls of this well were made of the swirling, frothing waters of the cyclone. These impenetrable masses of water and wind slowly turned around the water mountain. Looking upward, Fan saw that they appeared to reach straight into space. Shining through the mouth of the well was the alien sphere. Like a giant lamp hanging in space, its light illuminated all within the well. Gazing up, Fan could see strange clouds forming around it. They looked liked fibers, trailing a loose net around the alien vessel. These strands of cloud shone brightly, as if glowing from within. Fan could only guess that they were made of ice crystals formed by the Earth’s atmosphere, escaping into space. Even though they appeared to surround the spaceship, there actually had to be a good 20,000 miles between the web and the blue sphere. If his guess was right, the atmosphere had already begun to leak and the mouth of this giant, swirling well was nothing other than the fatal hole in Earth’s shell. It did not matter, Fan thought to himself. I have reached the summit. Suddenly, the all-pervading, ambient light changed. Flickering, it began to dim. Looking up again, Feng Fan saw that the alien sphere’s blue light had disappeared. It suddenly occurred to him what that light had been: It was the background light of an empty display; the entire body of that huge alien sphere was one gigantic screen. Just then, this massive screen began to display an image. It was a picture taken from a great height and it revealed a person floating in the ocean, his face turned skyward. That person was Feng Fan. Thirty seconds ticked past, then the image disappeared. Fan had immediately understood its meaning; the aliens had shown that they could see him. It truly made Fan feel like he was standing on the roof of the world. Two lines of text appeared on the screen. They contained all the alphabets and characters Fan had ever seen. Recognizing the words for “English”, “Chinese”, and “Japanese”, he surmised that they must spell out the names of all the world’s languages. He also spotted a dark frame quickly moving between the different words. It all appeared rather familiar. His guess was soon proven right, as he discovered that this frame actually did follow his gaze! He fixed his eyes on the characters for “Chinese”, causing the dark frame to stop over them. He blinked once, but there was no response. Maybe it needed a double-click, Fan thought and blinked twice. The dark frame flickered and the giant sphere’s language menu closed. In its stead, a huge word appeared in Chinese. >> We can hear you; there is no need to shout. We could hear the wings of a mosquito anywhere on Earth. We picked up the electromagnetic waves leaking from your planet and so learned your languages. We want to have a little chat with you, the text on the sphere now read. “Where do you come from?” Fan asked, his voice now considerably lower. A picture appeared on the surface of the giant sphere, showing a dense cluster of black dots. These dots were connected by a complicated web of lines. The sheer intricacy of the picture made Fan’s head swim. It obviously was some sort of star map. Sure enough, one of these dots began to glow in a silver light, growing brighter and brighter. Unfortunately, Feng Fan could not really make heads or tails of it, but he was confident that it would already have been recorded elsewhere. Earth’s astronomers would be able to understand it. The sphere soon displayed characters again, but the star map did not disappear. Instead, it remained in the background, almost like some sort of alien desktop. >> We raised a mountain. You came and climbed it. “Mountain climbing is my passion,” Fan answered. >> It is not a question of passion; we must climb mountains. “Why?” Fan asked. “Does your world have many mountains?” He realized that this was hardly humanity’s most pressing issue, but he wanted to know. Everyone he knew considered mountaineering an exercise in foolishness, so he might as well talk about it with aliens. After all, they had just professed that they were prone to climb; and after all, he had gotten this far all by himself. >> There are mountains everywhere, but we do not climb as you do. Feng Fan could not tell if this was meant as a concrete description or abstract analogy. He had no choice but to give voice to his ignorance. “So you do have many mountains where you come from?” It was more question than statement. >> We were surrounded by a mountain. This mountain confined us and we needed to dig to climb it. This answer did nothing to alleviate Fan’s confusion. For a long time he remained silent, contemplating what the aliens where trying to tell him. >> Our world is a very simple place. It is a spherical space, somewhat more than 3,500 miles in diameter, according to your units of measurement. This space is completely surrounded by layers of rock. No matter what direction one chooses to travel, the journey will always end with a solid wall of rock. >> Naturally, this shaped our first model of the cosmos: We assumed that the universe was made of two parts. The first was the 3,500-mile space in which we lived; the second was the surrounding layers of rock. We believed the rock to stretch endlessly in all directions. Therefore, we saw our world as a hollow bubble in this sold universe and so we gave our world the name “Bubble World”. We call this cosmology the Solid Universe Theory. Of course, this theory did not deny the possibility of other bubbles existing in these infinite layers of rock. However, it gave no indication how close or far those other bubbles might be. That became the impetus for our later journeys of exploration. “But, infinite layers of rock cannot possibly exist; they would collapse under their own gravity,” Feng Fan pointed out. >> Back then we knew nothing of gravitational forces. There was no gravity inside the Bubble World and so we lived our lives without ever experiencing its pull. We only really came to understand the existence of gravity many thousands of years later. >> The real universe? You are ignorantly only considering the universe as you know it right now. You have no idea what the real universe is like, and neither do we. >> No, none, and we needed none of them. Our world was made entirely of solids. There were no gases or liquids. “No gases or liquids; how did you survive?” Fan asked. >> We are a mechanical life form. Our muscles and bones are made of metals; our brains are like highly integrated chips, and electricity and magnetism are our blood. We ate the radioactive rocks of our world’s core and they provided us with the energy we needed to survive. We were not created, but evolved naturally from the extremely simple single-celled mechanical life forms when—by pure chance—the radioactive energies formed P-N junctions in the rocks. Instead of your use of fire, our earliest ancestors discovered the use of electro-magnetism. In fact, we never found fire in our world. “It must have been very dark there then,” Fan remarked. >> Actually, there was some light. It was generated by the radioactive activity in our world’s walls. Those walls were our sky. That ‘sky’s’ light was very weak and constantly shifted as the radioactivity fluctuated. Yet, it led us to evolve eyes. >> As our world’s core was without gravity, we did not build on the walls. Instead, our cities floated in the dim, empty space that was our world. They were about as big as your cities and, seen from afar, would have looked to you like glowing clouds. >> The evolutionary process of mechanical life is much slower than that of carbon-based life, but in the end we reached the same ends by different means; and so one day we, too, came to contemplate our universe. “That sounds like it must have felt cramped; did it for you?” Fan asked, mulling over the strange revelations of the sphere. >> ‘Cramped’……… That is a new word. We came to experience an intense desire for more space, much stronger than any similar longing that might affect your species. Our first journeys of exploration into the rock layers began in earliest antiquity. Exploration for us meant tunneling into the walls in an attempt to find other bubbles in our solid universe. We had spun many fascinatingly alluring myths around these distant spaces and almost all of our literature dealt with the fantasy of other bubbles. Soon, however, exploration became outlawed, forbidden on pain of death by short-circuiting. “Outlawed? By your church?” Fan assumed. >> No, we have no church. A civilization that cannot see the sun and stars will be without religion. There was a very practical reason for our senate to forbid tunneling: We were not blessed with the near infinite space you have at your disposal. Our existence was limited to that 3,500-mile bubble. All the debris that the tunneling produced ended up within this space. As we believed in infinite layers of rock stretching in all directions, those tunnels could have become very long indeed; long enough even to fill the entire bubble space at the core of our would with rubble! To put it another way: We would have transformed the empty sphere in the core of our world into a very long tunnel. >> Indeed, later explorers used the very method you just described. In fact, the explorers would only use a small bubble with just enough space for them and their mission. We came to call these missions ‘bubble ships’. But even so, every mission meant a bubble ship-sized pile of debris in our core space and we would have to wait for the ship to return before we could return those rocks into the wall. If the bubble ship failed to return, this small pile would mean another small piece of space lost to us forever. Back then we felt as if the bubble ship had stolen that piece of space. We therefore came to call our explorers by another name—Space Thieves. >> In our claustrophobic world, every inch of space was treasured, and ages later an all too large area of our world had been lost in the wake of the far too many bubble ships that had failed to return. It was because of this loss of space that bubble ship exploration was outlawed in antiquity. Even without legal censure, life in the bubble ships was fraught with hardships and dangers beyond imagining. A bubble ship was usually made of a number of diggers and a navigator. At the time we did not yet have mining machinery and so had to rely on manual excavation, comparable to rowing on your early vessels. These early explorers had to dig tirelessly with the simplest of tools, pushing their bubble ship through the layers of rock at a painfully slow pace. Working like machines in those tiny bubbles surrounded by solid rock—confined in every way, in search of an elusive dream—doubtlessly proves an incredible strength of spirit. >> As the bubble ships tended to return along the way they had come, the journey back was usually a good deal easier. The rock in their path would have already been loosened. Even so, a gambler’s hunger for discovery often led the ships to go well beyond the point of safe return. These unfortunate explorers would run out of strength and supplies and remain stranded mid-return, their bubble ship becoming their tomb. Despite all of this, and even though the scale of our exploration was greatly scaled back, our Bubble World never gave up on the dream of finding other worlds. >> One day in the year 33,281 of the Bubble Era—this is expressed in your chronological terms, as our world’s reckoning of time would be too alien for you to understand—a tiny hole began to open in the rocky sky of our world. A small pile of rocks drifted out of this hole, their weak radioactive light sparkling like stars. A unit of soldiers was immediately dispatched to fly to this crack and investigate. Now keep in mind, that there is no gravity in the Bubble World. They discovered an explorer’s bubble ship that had returned. This ship had set out eight years ago and the world had long given up hope that it would ever return. The ship’s name was the Needle’s Point and it had dug 125 miles deep into the rock. No other ship had ever made it as far and returned. >> The Needle’s Point had set out with a crew of 20, but when it returned, only a single scientist remained. Let us call him Copernicus. He had eaten the rest of the crew, including the captain. In ancient times this means of sustenance had, in fact, proven to be the most efficient method for explorers going into the deep layers of rock. >> For breaking the strict laws against bubble ship exploration and for cannibalism, Copernicus was sentenced to death in the capital city. On the day the sentence was to be carried out, more than a 100,000 gathered in the central square of the capital to witness his execution. Just as they were waiting for the awesome spectacle of Copernicus being short-circuited in a beautiful shower of sparks, a group of scientists floated onto the square. They were from the World Academy of Science and they had come to announce a groundbreaking discovery: Researches had discovered something in the density of the rock samples the Needle’s Point had retrieved. To their great surprise, it could be shown that the rocks’ density had continually decreased the further the ship had dug! “Your world was without gravity; how ever did you measure density?” Fan interjected. >> We used inertia; it’s somewhat more complicated than your methods. No matter, in those early days our scientists thought that the Needle’s Point had merely chanced upon an uneven layer of rock. Then, however, in the following century, legions of bubble ships journeyed forth in all directions, penetrating deeper than the Needle’s Point ever had, and returned with rock samples. What they found was incredible: Density decreased in all directions, and it did so consistently! The Solid Universe Theory that had reigned supreme in the Bubble World for 20 millennia was shaken to its core. If the density of the Bubble World continually decreased as one dug outward, then it stood to reason that it would eventually reach zero. Using the gathered data, our scientists were easily able to calculate that this would happen at about 20,000 miles. “Oh, that sounds very much like how Hubble used the redshift!” Fan exclaimed, recognizing the concept. >> It is indeed very similar. Since you could not conceive of the redshift velocity exceeding the speed of light, you concluded that it denoted the edge of the universe; and it was very easy for our ancestors to understand that an area with a density of zero is open space. Thus a new model of the universe was born. In this model, it was assumed that density decreased away from the Bubble World, eventually reducing to the point of opening into space that would then continue into infinity. This is known as the Open Universe Theory. In the end, an incredible, epochal discovery forever sealed the fate of the Solid Universe Theory. >> The bubble ship that crossed the 200-mile mark was called the Saw Blade. It was the largest exploration vessel we had ever built, outfitted with an extremely powerful excavator and an advanced life-supporting system. Its cutting edge equipment enabled the ship to travel farther than anyone had ever gone before, changing the course of our history. >> As it passed a depth—or one might say height—of 200 miles, the mission’s chief scientist—we shall call him Newton—reported an utterly baffling observation to the ship’s captain: Whenever the crew went to sleep floating in the middle of the bubble ship, they would wake up lying on the tunnel wall closest to the Bubble World. >> The captain did not think it meant anything; he concluded that it was the result of homesick sleep floating and nothing more. In his mind, the crew wanted to return to the Bubble World and so they would always find themselves floating toward home in their sleep. >> Consider, however, that there was no air in the Bubble World, and therefore no air in the bubble ship. This meant that there were only two ways to move: Either by pushing off the wall, something that could not possibly happen while the crew was floating in the middle of the ship; or by discharging their body’s excrements to propel themselves. Newton, however, never found any sort of trace of that having happened. >> Even so, the captain would not put stock in Newton’s claims. He should have considered otherwise, as it was this indifference that would soon leave him buried alive. On the day it happened, the crew was particularly exhausted after having completed the latest stage of the dig and so they did not immediately move the day’s debris to the back of the ship. The plan was to move the rocks first thing after they had rested. The ship’s captain joined the diggers and they went to sleep in the center of the ship. They all woke with a start, buried alive! In their sleep, they and the rocks had all moved toward the rear of the bubble ship, closer to the Bubble World! Newton very quickly realized that all things in the ship had a certain tendency to move toward the Bubble World. This movement was very gradual and barely noticeable under normal conditions. “So your Newton did not need an apple to discover gravity,” Fan quipped. >> Do you really think it was that easy? For us, the discovery of gravitation was a much more involved process than it ever could have been for your kind; it had to be, considering the environment in which we lived. When Newton discovered the directionality of attraction he had to assume that it originated from the 3,500-mile empty space of the Bubble World; and so our early theory of gravity was marred by a rather silly assumption. We concluded that it was vacuums that produced gravity, not mass. “I can see how that happened. In an environment as complex as yours, it would of course be much more difficult for your Newton to figure things out than it had been for ours,” Fan said, nodding. >> Indeed. It took our scientists half a century before they began to unravel the mystery. Only then did we begin to truly understand the nature of gravity, and soon we were able—by using instruments not too different from those you used—to measure the gravitational constant. Even so, it was a painfully slow process before the theory of gravity found widespread acceptance in our world. As it spread, however, it became the final nail in the coffin of the Solid Universe Theory. >> Gravity did not allow for the existence of an infinite, solid universe around our bubble. The Open Universe Theory had finally triumphed and the cosmos it described soon came to exert a powerful attraction on the inhabitants of our world. >> Beyond the conservation of energy and mass, Bubble World physics was also bound by the law of the conservation of space. Space in the Bubble World was a sphere roughly 3,500 miles in diameter. Digging tunnels into the layers of rock did nothing to increase the amount of available space; it merely changed the shape and location of the already existing space. Furthermore, we lived in a zero-gravity environment and so our civilization floated in space at the core of our world. We affixed nothing to the walls of our world, which would have been comparable to the way you live on your planet. Because of this, space was the most treasured commodity of the Bubble World. The entire history of our civilization was one long and bloody struggle for space. >> Now, we had suddenly learned that space was quite possibly infinite. How could it not have whipped us into a frenzy? We sent forth an unprecedented number of explorers, waves upon waves of bubble ships digging forward and outward. They all did their utmost to reach that paradise of zero density that the Open Universe Theory predicted could be found beyond 19,900 miles of rock. >> From what has been said you should now, if you have grasped it, be able infer the true nature of our Bubble World. “Was your world the hollow center of a planet?” Fan gave his best guess. >> You are correct. Our planet is about the same size as Earth; its radius roughly 5,000 miles. Our world’s core, however, is hollow. This space at its center is approximately 3,500 miles in diameter. We are the life of that core. >> Even after the discovery of gravity, it still took us many centuries before we finally came to understand the true nature of our world. >> After the Open Universe Theory had fully established itself, the quest for the infinite space outside became our only real concern. We paid no more mind to the consumption of space inside the Bubble World. Massive piles of rock, dug out by the fleets of bubble ships, soon came to fill the core space. This debris began to drift around our cities in vast, dense clouds. It got to such a bad point that merely floating across the city was no easier a task than navigating an obstacle course. And because the cities themselves moved about, the denizens of the core also suffered devastating downpours of stone rain. Only half of the space these rocks stole was ever recovered. >> At the time, a World Government had come to replace our senate. Its politicians took on the responsibility of overseeing and safeguarding the core space. They attempted to harshly crack down on the frenetic explorers, but this had very little affect. Most of the explorer’s bubble ships had already dug into the deep layers of our planet. >> The World Government soon realized that the best way to stop bubble ships would be with bubble ships. Following this logic, the government began building an armada of gigantic ships designed to intercept, attack, and destroy the explorers’ vessels deep within the rock. The government’s ships would then retrieve the space that had been stolen. This plan naturally met with the resistance of the explorers and so the long drawn-out War of the Strata broke out, fought in the vast battlefield of layers of rock. “That sounds like a very interesting way to fight a war!” Fan called up at the sphere, intrigued. >> And very brutal, even though at first the pace of the fighting was languid, at best. The excavation technology of the time only allowed our bubble ships to move at a pace of less than two mph through the rock. >> Large ships were the most highly valued asset on both sides in the War of the Strata. There was a simple reason for this: The larger the bubble ship, the longer it could go without refueling; also, the ships’ offensive capabilities scaled with their size. >> Regardless of how big they were, the ships of the Strata War were all built to have the smallest bow width possible. Again, this had a very simple reason: The slenderer the bow, the smaller the area of rock that the ship would need to dig through and the faster the ship would be able to move. As a result, almost all of the ships of the war looked very similar when seen from the front. On the other hand, their bodies and lengths varied widely. In its extreme, it meant that our largest ships ended up looking like very long tunnels. >> The battlefields of the Strata War were of course three-dimensional and so the combat was fought somewhat like your forces engaging in aerial warfare, even if things were a good deal more complicated for us. When a ship encountered the enemy, its first course of action was to hastily broaden its bow width. The ships did so to present the largest possible front of weaponry to bear; in this new configuration, the ships transformed into a shape reminiscent of a nail. >> When necessary, the bow of a bubble ship could also split out into multiple sections, like a claw ready to strike. This configuration would allow the ship to attack from multiple directions at once. The raw complexity of the War of the Strata also revealed itself in another tactic: Every warship could separate at will, transforming into multiple smaller ships. Ships could also band together, quickly combining to form a single, giant ship. Whenever opposing battle groups met, the question whether to form up or split up was an object of profound tactical analysis. >> Interestingly enough, the War of the Strata did little to hinder the drive for further exploration. In fact, the war spurred a technological revolution that would play a critical part in our future endeavors. Not only did it bring about the development of extremely efficient excavators, but it also lead to the invention of seismoscopes. This technology could be used to communicate through the layers of rock and could also be employed as a form of radar. Powerful seismic waves were also used as weapons. The most sophisticated seismic communication devices could even transmit pictures. >> The largest bubble battleship we ever built was called the World-of-the-Line. It was commissioned by the World Government. In its standard configuration, the World-of-the-Line was more than 90 miles long. It was just as its name suggested; a small, very stretched world all of its own. For its crew, serving on the World was much like it would be for you to stand in the English-French Channel Tunnel; every few minutes a high-speed train rushed by, delivering tunneled debris to the aft of the ship. The World-of-the-Line could of course break up into an armada all by itself, but for the most part it operated as a singular vessel of war. Naturally, it did not always remain in its ‘tunnel’ configuration. In motion, its stretched hull could be bent impressively, forming a closed loop or even crossing its own path to create intricate shapes of destruction. The World-of-the-Line was equipped with our most advanced excavators, allowing it to travel twice as fast as ordinary bubble ships, reaching a cruising speed of up to four mph. In combat, it could even maneuver at speeds exceeding six mph! Furthermore, an extremely powerful seismoscope was installed in its hull, allowing it to pinpoint bubble ships at ranges eclipsing 300 miles. Its seismic wave weapon had an effective range of 3,300 feet and anything and anyone within a bubble ship it targeted would be shattered to pieces or crushed. Every once in a while the World-of-the-Line returned to the Bubble World, carrying with it its booty of space recovered from the explorers. >> It was the devastating blows struck by the World-of-the-Line that finally pushed the explorer movement to the brink. It seemed as if the age of exploration was about to come to a sudden end. >> During the entirety of the War of the Strata, the explorers always found themselves outmatched. Perhaps most importantly, they were prevented from building or forming a ship longer than five miles. Any ship larger than that would be quickly detected by the seismoscopes installed on the World-of-the-Line and the walls of the Bubble World. Once they were spotted, destruction would be swiftly at hand. And so, if exploration was to continue in earnest, it became imperative to destroy the World-of-the-Line. >> After extensive planning and preparation, the Explorer Alliance encircled and attacked toward the World-of-the-Line with over a hundred warships. Not one of the explorers’ ships was longer than three miles on its own. The battle ensued a thousand miles outside the Bubble World and so became known as the Battle of the Thousand Miles. >> The Alliance first assembled 20 ships, combining them to form a 20-mile-long ship 1000 miles outside the Bubble World, daring the World-of-the-Line to attack. The World took the bait, rushing in for the kill in its tunnel configuration. Just as it was speeding toward its prey, the Alliance sprung its ambush. More than a hundred ships dug forward, simultaneously attacking the flanks of the World-of-the-Line from all directions. The mighty 90-mile ship was split into 50 sections. Each of these sections, however, could carry on the fight as a powerful warship in its own right. Soon, more than 200 ships from both sides were engaged in fierce battle, tunneling through the rock in a brutal and chaotic melee. Warships were constantly combining and separating, eventually appearing to blur into an amorphous cloud of vessels and violence. In the final phase of the battle, the 150-mile battlefield had become honeycombed beyond recognition by loosened rock and empty space left by destroyed ships. The Battle of the Thousand Miles had created an intricate three-dimensional maze 2,250 miles beneath our planet’s surface. >> The jarring rumble of vicious close quarters combat reverberated all throughout this bizarre battlefield for what seemed eternities. So far from the core of the planet, gravity already produced very noticeable effects—effects that the explorers were far more familiar with than the government forces were. In this great maze battle, it was these weak forces that slowly decided the battle in favor of the Explorer Alliance. In the end, their victory was decisive. >> After the battle, the Explorer Alliance gathered all the space left over by the battle into a single sphere 60 miles in diameter. In this new space the Alliance declared its independence from the Bubble World. Despite this declaration, the Explorer Alliance continued to coordinate its efforts with the explorer movement in the Bubble World from afar. A constant stream of explorer ships left the core to join the Alliance, bringing considerable amounts of space with them. In this way the territory of the Explorer Alliance was continuously expanded, in effect allowing them to turn their territory into a fully stocked and equipped forward-operating base. The World Government, exhausted by the long years of war, found itself unable to stop any of this. In the end, they were left with no other option than to acknowledge the legitimacy of the explorer movement. >> As the explorers pierced higher altitudes, they came to dig through ever more porous rock. This was not the only benefit these heights offered; the strengthening gravity also made dealing with the excavated debris that much easier and this newly discovered environment led to success after success. In the eighth year after the end of the war, the Helix became the first ship to cross the remaining 2,250 miles, completing the 5,000-mile journey from the planet’s center, 3,250 miles from the edge of the Bubble World. “Wow! That’s all the way to the surface! It must have been so exciting for you to see the great plains and real mountains!” Fan exclaimed, fully caught up in the visitors’ story. >> There was nothing to be excited about; the Helix reached the seabed. Fan looked up at the alien sphere in shocked silence. >> When it happened, the images from the seismic communicator began to shake and in a flash, ended altogether. Communication had been lost. A bubble ship tunneling through the rock beneath it could only catch one strange sound on its seismoscopes; a noise that in air would have produced a peeling sound. It was the sound of tons upon tons of water bursting into the vacuum of the Helix. Neither the machine life forms nor the technology of the Bubble World had ever been designed to come into contact with water. The powerful electric current produced by short-circuiting life and equipment almost instantly vaporized everything the water embraced. In the rushing waves, the crew and technology of the Helix exploded like a bomb. >> Following this event, the Alliance sent more than a dozen bubble ships to fan out in many directions, but all met a similar fate when they reached that apparently impenetrable height. Not one crew was able to vindicate their sacrifice by sending back information that would have led us to understand that mysterious peeling sound. Twice a strange crystalline waveform could be seen on the monitors, but we were completely incapable of comprehending its nature. Bubble ships following these missions attempted to scan what lay above with their seismoscopes found that their instruments showed only mangled data; the returning seismic waves indicated that what lay above was neither space nor rock. >> These discoveries shook the Open Universe Theory to its core and academic circles began discussing the possibility of a new model. This new model stipulated that the universe was bound to a 5,000-mile radius. They came to the conclusion that the lost explorer ships had come into contact with the edge of the universe and had been sucked into oblivion. >> The explorer movement was faced with its greatest test yet. Before the Helix incident, the space taken by lost explorer ships had always remained, if only in theory, recoverable. Now, however, our people were faced with the edge of the universe. The space it eagerly devoured appeared to be lost forever. Considering this, even the most steadfast explorers were shaken. Remember that in our world, deep within layers of rock, space—once lost—could never be renewed. With this in mind, the Alliance decided to send a final group of five bubble ships. As they reached an altitude of 3,000 miles, these ships proceeded with extreme caution. If they were to suffer the same fate as the previous missions, it would mean the end of the explorer movement. >> Two bubble ships were lost. A third ship, the Stone Cerebrum, however, made ground-breaking progress. At an altitude of 3,000 miles, the Stone Cerebrum was slowly digging upward, every foot of rock tunneled with the utmost caution. When the ship reached the seabed, the ocean’s waters did not gush through the entire ship and so did not instantly collapse the vessel, as had happened in all previous attempts. Instead, the seawater spurted through a small crack, forced into a powerful but minute stream by the immense pressure above. The Stone Cerebrum had been designed with a beam width of 825 feet. By the standards of the explorer ships, this was considered large, yet it turned out to be an unbelievable stroke of luck. Because of the ship’s size, the rising seawater took nearly an hour before it was able to fill the entire space of the ship. Before coming into contact with the bursting water, the ship’s seismoscope had recorded the morphology of the ocean above and much data and images had been successfully transmitted back to the Alliance. It was on that day that the People of the Core saw a liquid for the first time. >> It is quite imaginable that there had been liquids in the Bubble World in ancient times, but it would have been nothing but searing magma. Once the violent geology of our planet’s formation had finally come to rest, this magma must have completely solidified. In our planet’s core, nothing remained but solid matter and empty space. >> Even so, our scientists had long since predicted the theoretical possibility of liquids, but no one really believed that this legendary substance should actually exist in the universe. Now however, in those transmitted images, they clearly saw it with their own eyes. and what they saw left all in shock: Shocked at the white, bursting jet, shocked at the slow rise of the water’s surface, and shocked at seeing that demonic substance warp itself into any form, clinging to every surface in complete defiance of all laws of nature. They saw it ooze into even the tiniest cracks and they witnessed how it seemed to change the very nature of rock, darkening it with but a touch, even as it seemed to make it shimmer like metal. However, what fascinated them most was that while most things disappeared into this strange substance, some shattered remains of the crew and machinery actually came to float on its surface! There was nothing that seemed to distinguish those things that floated from those that sank. The People of the Core gave this strange liquid substance a name; they called it ‘amorphous rock’. >> From that point on, the explorers could again celebrate a long string of successes. First, engineers of the Explorer Alliance designed a so-called drain-pipe. In essence it was a 650-foot-long, hollow, drilling pole. After it had been drilled through the final layers of rock, the drill bit of this pole could be opened like a flap valve, drawing the ocean’s waters down the pipe. Another valve was attached to the bottom of the drain-pipe. >> A bubble ship rose to an altitude of 3,000 miles . Then it began drilling the drip-pipe through the final layers into the seabed. Nothing could have been easier; drilling was, after all, a technology with which the People of the Core were abundantly familiar. There was another piece to the puzzle, however, and that required technology of which we had never even conceived: sealing. >> As the Bubble World had been completely devoid of liquids or gases, sealing technology had never been necessary, or even imaginable, to the People of the Core. As a result, the valve at the bottom of the drainpipe was far from watertight. Before it was even opened, it had already let water leak out and into the ship. This accident, however, proved to be very fortunate indeed; had the valve ever been opened fully, the power of the onrushing water would have been much greater than the spray through the rock crack encountered by the Stone Cerebrum. It would have burst forth in a concentrated beam of water, powerful enough to cut through everything in its path like a laser. Now instead, the water seeped through the porous valve at a much more controllable drip. You can imagine just how fascinating it was for the crew of the bubble ship to see that thin stream of water bursting forth before their very eyes. To them this liquid was completely unknown territory, much as electricity had been to early humanity. >> After carefully filling a metal container with the strange liquid, the bubble ship again retreated to the lower layers, leaving the drainpipe buried in the rocks. As the ship descended, the explorers took the greatest precautions they could imagine, keeping their strange sample as still and safe as possible in its container. Carefully observing it, they soon made their first new discovery: The amorphous rock was actually transparent! When they had first seen the seawater shoot through the cracked rock, it had of course been heavily laden with sediment and mud. The People of the Core had accepted this as the amorphous rock’s natural state. Following this discovery, the ship continued to descend, and as it did, the temperature aboard began to rise. >> It was with horrified shock and a deep fear that the explorers suddenly came face to face with the most horrible realization yet: The amorphous rock was alive! Stirring, its surface had begun to roil with anger, its terrifying form now covered with countless bursting bubbles. But this monster’s surging life force seemed to consume its very being, its body dissolving into a ghostly white shadow. Once all the amorphous rock in the container had transformed into this new phantasmal state, the explorers began to feel a strange sensation grip their bodies. Within moments the sparks of shorting circuits erupted from within, ending their lives in agonizing fireworks. >> Seismic waves transmitted this terrible spectacle live to the Explorer Alliance, right up until the monitors, too, fell silent. A quickly dispatched relief ship suffered the same fate. As soon as it made contact with the doomed vessels, its crew also erupted into horrible sparks, dying in pain. It seemed as if the amorphous rock had become a specter of death, looming over all of space. The scientists, however, noticed that the second series of short-circuits was nowhere as violent as the first spectacular displays of death. This led them to a conclusion: As the area of space increased, the density of that amorphous specter of death decreased. >> It took many lives and countless horrible deaths, but in the end, the People of the Core finally discovered another state of being they had never encountered before: Gas. >> These momentous discoveries finally moved even the World Government and they reunited with their old enemies, the Explorer Alliance. The Bubble World now also committed its resources to the cause, heralding a period of intense exploration marked by rapid progress. The final breakthrough was within reach. >> Even though we came to an ever greater understanding of water vapor, we still lacked the sealing technology that would have allowed the core’s scientists to protect our people and machinery from harm. Nonetheless, we had come to learn that that at an altitude above 2800 miles, the amorphous rock remained dead and inert, unable to boil. To study the strange new states, the World Government and the Explorer Alliance constructed a laboratory at an altitude of 2900 miles. They equipped this facility with a permanent drainpipe. Here experts began to study the amorphous rock in earnest. “Only then could you begin to undertake the work of Archimedes,” Fan chimed in. >> You are quite correct, but you should not forget that our earliest forbearers had already done the work of Faraday. >> As a byproduct of their work in the Laboratory for Amorphous Rock Research, our scientists came to discover water pressure and buoyancy. They also managed to develop and perfect the sealant technology necessary to deal with liquids. Now we finally understood that sealing the amorphous rock would be an incredibly simple undertaking, much simpler in fact than drilling through layers of rock. All that would be required was a sufficiently sealed and pressure-resistant vessel. Without excavators, this ship would be able to rise at speeds that seemed almost incomprehensible to the People of the Core. “You built a Bubble World rocket,” Fan noted with a smile. >> More of a torpedo, really. This torpedo was a metallic, pressure-resistant, egg-shaped container with no drive or propeller whatsoever. It was designed for a crew of one. We shall call this pioneer ‘Gagarin’. The torpedo’s launch pad was set up in a spacious hall excavated at an altitude of 3000 miles. One hour before the launch, Gagarin entered the torpedo and the entire vessel was hermetically sealed. After all instruments and life-support systems had been checked and determined to be functional, an automatic excavator began digging its way through the mere 30 feet of rock separating the launch hall from the seabed above. With an almighty roar, the ceiling collapsed under the pressure of the amorphous rock. The torpedo was immediately and completely submerged in a sea of liquid. As the chaos began to subside, Gagarin could finally catch a glimpse of the outside world through his transparent steel-rock porthole. With a start, he realized that the launch pad’s two searchlights were casting beams of light through the amorphous rock. In the Bubble World without air, light could not scatter and emit beams. This was the first time any of us had ever seen light this way. Just then seismic waves communicated the launch order and Gagarin pulled the release lever. >> The anchor hinges holding to the bottom of the torpedo to the rock sprung open and the torpedo slowly began to rise from the seabed. Engulfed by the amorphous rock, it soon began to accelerate, floating upward. >> Given the pressure at seabed level, it was very easy for our scientists to calculate that roughly six miles of amorphous rock covered the ocean’s floor. If nothing unexpected happened, the torpedo would float to the surface in roughly 15 minutes. What it would encounter there, no one could know. >> The torpedo shot up in perfect tranquility. Through his porthole, Gagarin could see nothing but bottomless darkness. Only the occasional glimpse of dust zipping past in the lights outside his porthole gave him any indication of how rapidly he was ascending. >> And just as his spirit was about to break, his torpedo broke the surface of our planet’s ocean. >> The inertia of the ascent shot the torpedo a good 30 feet above the waters’ surface, before it came crashing back down toward the sea. Looking through his porthole as he fell, Gagarin could see the boundless amorphous rock, stretching into forever, shimmering with strange sparkles. But he had no time to see where the light was coming from; the torpedo heavily hit the ocean with a great splash, sending amorphous rock splattering in all directions. >> The torpedo came to a rest, floating on the ocean’s surface like a boat, gently rocking with the waves. >> Gagarin carefully opened the torpedo’s hatch and slowly raised himself out of the vessel. Immediately he felt the gust of the ocean breeze and, after a few perplexed moments, came to realize that it was gas. Trembles of fear shook his body as he recalled a flow of water vapor he had once seen through a steel-rock pipe in the laboratory. Who could have ever foreseen that there could be this much gas anywhere in the universe? Gagarin soon understood that this gas was very different from the gas produced by boiling amorphous rock. Unlike the latter, it could not cause his body to short-circuit. >> I felt the gentle touch of a giant, invisible hand brush by my body. It seemed to have reached down from a vast, boundless, and completely unknown place; and that place was now before me, transforming me into something wholly new. >> Gagarin lifted his head and then and there he finally embraced the reward of 100,000 years of our civilization’s exploration: He saw the magnificent, sparkling wonder of the starlit sky. “It really wasn’t easy for you. You had to explore for so many years, just to reach our starting point,” Fan exclaimed in admiration. >> That is the reason why you should consider yourself a very lucky civilization. With a jolt, he forced his mind back to reality. “Why did you come here?” he asked the sphere above. >> We are just passing by and we wanted to see if there was intelligent life here with which we could have a chat. We talk to whoever first climbs this mountain. “Where there’s a mountain, there will always be someone to climb it,” Fan intoned, nodding. >> Indeed, it is the nature of intelligent life to climb mountains. They all want to stand on ever higher ground to gaze ever farther into the distance. It is a drive completely divorced from the demands of survival. Had you, for example, been only concerned with staying alive, you would have fled from this mountain as fast and far as you could. Instead, you chose to come and climb it. The reason evolution bestows all intelligent life with a desire to climb higher is far more profound than more base needs, even though we still do not understand its real purpose. Mountains are universal and we are all standing at the feet of mountains. “I am on to top of the mountain,” Feng Fan interjected. He would not stand for anyone, not even aliens, challenging the glory of having climbed the world’s tallest mountain. >> You are standing at the foot of the mountain. We are all always at the foot. The speed of light is the foot of a mountain; the three dimensions of space are a foot of a mountain. You are imprisoned in the deep gorge of light-speed and three-dimensional space. Does it not feel…cramped? “We were born this way. It is what we are familiar with,” Fan replied, clearly in thought. “It is vast, limitless; that kind of thing,” Fan answered. >> Does it feel cramped to you? “How could it? The universe stretches out endlessly before my eyes; scientists can even peer as far as twenty billion light years into space,” Fan explained. >> Then I shall tell you: It is no more than a bubble world 20 billion light years in radius. >> Our universe is an empty bubble; a bubble in something more solid. “How could that possibly be? Would this larger solid not immediately collapse in under its own gravity?” Fan asked, bewildered. >> No; at least not yet. Our bubble is still expanding in this super-universal solid. Gravitational collapse is only an issue for a bounded solid space. If, however, the surrounding solid area is in fact limitless, then gravitational collapse would be a non-issue. This of course is no more than a guess. Who could know whether this solid super-universe has its own limits? >> There is so much space for speculation. For example, one could consider that on its immense scale, gravity is offset by some other force, just like electromagnetism is largely offset by the nuclear forces on the microscopic scale. We are not aware of such a force, but when we were inside the Bubble World, we remained unaware of gravity. From the data we have gathered, we can see that the form of the universe’s bubble is much like your scientists have surmised; it is just that you do not know what lies beyond yet. “What is this solid? Is it…?” Fan hesitated for a moment. “Rock?” he finally asked. >> We do not know, but we will discover that in 50,000 years when we reach our destination. “Where exactly are you going?” Fan asked. >> The edge of the universe. Our bubble ship is called Needle’s Point. Do you remember the name? >> Right. We do not know what we will find. “Does the super-universe have other bubbles in it?” Fan inquired. >> You are already thinking very far ahead, indeed. “How could I not?” Fan responded. >> Think of the many small bubbles inside a very big rock. They are there, but they are very hard to find. Even so, we will go and look for them. “You truly are amazing.” Fan smiled, holding a deep admiration for the adventurous aliens. >> Very well, our little chat was most delightful, but we must make haste; 50,000 years is a very long time and we are burning daylight. It was a pleasure meeting you; and remember, mountains are universal. The sheer density of the ice crystal clouds already made the last few words hard to read, blurred behind the clouds. And with those last words, the giant sphere, too, began to slowly dim, its form fading smaller and smaller in the heavens. Soon it had shrunk to a mere dot, just another star in an endless sky. It left much faster than it had arrived and within moments it had disappeared altogether across the Western horizon. Everything between heaven and ocean was returned to deep black. Ice crystal clouds and the cyclonic well were swallowed by the darkness, leaving only a trace of swirling black chaos, barely visible in the skies above. Feng Fan could hear the roar of the encircling tempest rapidly diminish. Soon, it was no more than a soft whimper, and before long, even that had died. All that remained was the sound of the waves. Feng Fan suddenly became aware of the sensation of falling. Looking around he could see the ocean slowly begin to change. The perfectly round summit of the water mountain had begun to flatten like a giant parasol being stretched ever farther open. He knew that the water mountain was dissolving, and that he was plummeting a good 30,000 feet. After only minutes the water that he was floating on stopped falling, having reached sea level; and he felt it. The inertia of his fall carried him down, deep below the surface. Luckily he did not sink too far this time and so was quickly floating up to the surface. As he surfaced, he realized that the water mountain had completely disappeared into the ocean, leaving not even the slightest trace, appearing just as if it had never been. The cyclone, too, had spun itself out of existence, even though he could still feel the hurricane force winds batter him as they whipped up large waves. Soon, the ocean’s surface would be calm again. As the ice crystal clouds scattered, the magnificent starry heavens again came to span the sky. Feng Fan looked up at the stars, thinking of that distant world so very, very far away—so remote that even the light of that day must have reeled from exhaustion before reaching Earth. There, in that ocean long ago, Gagarin of the Bubble World had raised his head to the stars as Fan did now; and through the vast barrenness of space and the desolation of time, he felt a deep bond of kinship unite their spirits. In a sudden a burst of nausea, Feng Fan felt himself retch. He could tell from the taste that it was blood. Miles above sea level, on the summit of the water mountain he had suffered mountain sickness. A pulmonary edema was hemorrhaging. Immediately he realized the severity of the situation. The sudden increase of gravity had left him too exhausted to move. Only his life jacket was keeping him afloat. He had no inkling as to the fate of the Bluewater, but he could be almost certain that there could be no boats within at least half a mile. When he was atop the summit, Feng Fan had felt his life fulfilled. Up there he could have died in peace. Now suddenly, there was no one on the planet who could have been more afraid to die than he was. He had climbed to the rocky roof of our planet and now he had also climbed the highest watery peak the world had ever known. What kind of mountain was left for him to climb? He would have to survive; he had to find out. The primal fear of the Himalayan blizzard returned. Once, this fear had made him cut the rope connecting him to his companions and his lover. He had sealed their fate and left them dead to the world. Now he knew that he had done the right thing. If there had been anything left for him to betray to save his life, he would have betrayed it. He had to live. There was a universe of mountains out there. Originally published by Beijing Guomi Digital Technology Co., Ltd, 2012. 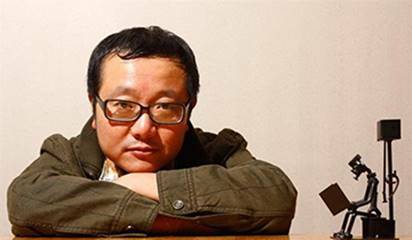 Liu Cixin, born in June 1963, is a representative of the new generation of Chinese science fiction authors and recognized as a leading voice in Chinese science fiction. He was awarded the China Galaxy Science Fiction Award for eight consecutive years, from 1999 to 2006 and again in 2010. His representative work The Three-body Problem is the nominee of 2015 Hugo Award, nominee of 2015 Nebulas Award, and the 3rd of 2015 Campbell Award finalists. Not sure what this is supposed to be. Lost patience when the protagonist had to ‘swim up the slope’ of the ‘tidal mountain’. Sorry, you wouldn’t experience a slope – the water would always be level in the gravity field. I am disappointed by the end. A lot of thought went into what would happen to the ocean with the appearance of such a massive object. The leaving of it with such a high mountain of water would probably flood most of the coastal areas around the world, killing the majority of land based life. Anyone on the peak of that mountain of water would be caught in terrible turbulence and drown for sure. The only solution would be for the spaceship to leave very, very slowly.